Thursday, May 16, 2013 (Washington, DC) — Today, the National Consumers League (NCL) and its partners announced the awardees of the second annual Script Your Future Medication Adherence Team Challenge for health profession students. This month-long competition engaged health profession students and faculty in developing creative ideas for raising awareness about medication adherence as a critical public health issue. This year's awardees are: St. Louis College of Pharmacy, University of Charleston School of Pharmacy, University of the Pacific Thomas J. Long School of Pharmacy & Health Sciences, Touro University College of Pharmacy California, and The University of Mississippi School of Pharmacy. The Medication Adherence Team Challenge is part of the Script Your Future public awareness campaign launched in 2011 by NCL. The campaign includes more than 130 public and private stakeholder organizations, including the American Association of Colleges of Pharmacy (AACP), the National Association of Chain Drug Stores (NACDS) Foundation, the American Medical Association (AMA), and the National Community Pharmacists Association (NCPA). "We were excited to expand our competition this year beyond just student pharmacists to more broad outreach to additional fields of future health professionals who interact with patients—doctors, nurses, nurse practitioners, and others," said Sally Greenberg, NCL's Executive Director. "This more comprehensive approach will ultimately result in patients hearing from multiple voices encouraging them to take their medication as directed." Research shows that nearly three out of four American don't take their medications as directed. This may cause devastating results, particularly for people with chronic conditions. Poor medication adherence has been recognized by national health advocacy groups as a public health priority; it results in more than one-third of medicine-related hospitalizations and almost 125,000 deaths in the United States each year. Improved medication adherence leads to better health outcomes and reduced total healthcare costs. The Script Your Future Medication Adherence Team Challenge was a month-long outreach competition held in February 2013 to engage interdisciplinary student teams from pharmacy, medicine, nursing, and other health professions charged with tackling the problem of poor adherence. The teams implemented innovative solutions and outreach in their communities to raise awareness and improve understanding about medication adherence using Script Your Future materials. This year, the students also submitted entries in the categories of health disparity outreach, chronic condition outreach, and creative inter-professional team. More than 1,700 future health care professionals held 200 events in 35 states and the District of Columbia, counseling over 12,000 patients and reaching more than 3 million consumers nationwide. 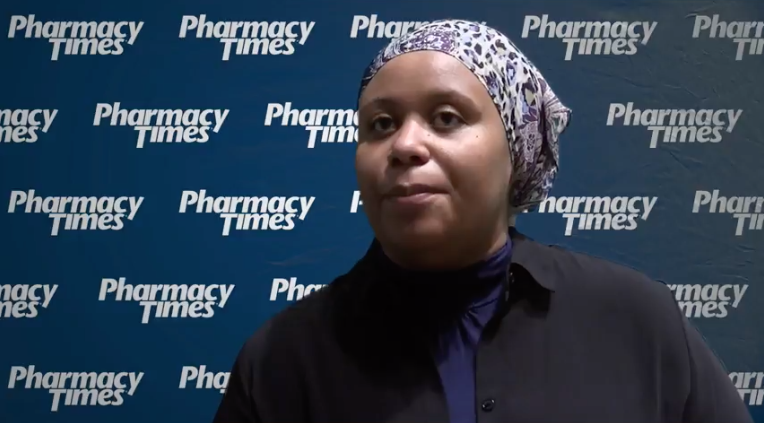 "Educating the next generation of pharmacists and other healthcare professionals is imperative to ensure that future patients practice better adherence," said Dr. Lucinda L. Maine, Executive Vice President and CEO at AACP. "The Script Your Future team challenge inspires students to think about new ways to address this issue and encourages innovative strategies to better connect with patients." "For patients to achieve optimal health outcomes, it is vital that they take their medication as directed," said AMA President Jeremy A. Lazarus, M.D. "Patient education through community outreach enhances the conversations happening in doctors' offices across the country and helps patients avoid adverse drug reactions and unnecessary hospitalizations. The Script Your Future challenge enables healthcare professionals-in-training to advance public health." "The involvement of students and faculty in the effort to boost medication adherence is incredibly important" said NACDS Foundation President Kathleen Jaeger. "The Medication Adherence Team Challenge establishes this issue as a top priority for the next generation of health professionals, and inspires them to advance this goal within their own communities. The winners are showing the tremendous power that healthcare professionals can have on advancing patient care through medication adherence. We hope that is a lesson they will carry with them throughout their careers and that will inspire others to do the same." "Positive health outcomes for patients require good medication adherence and the collective efforts of community pharmacists and other health care professionals play a critical role in that equation. This is why the National Community Pharmacists Association is proud to be a sponsor of the Script Your Future team challenge, as it recognizes the indispensable role of each member of a patient's health care team, and encourages each to be the best patient advocate they can be," said NCPA CEO B. Douglas Hoey, RPh, MBA. The recognized schools' campaigns, selected from over 58 applications, and 85 participating colleges and schools of pharmacy and other health professions are listed below. In addition, the following schools received Honorable Mention under the National Award category: Lake Erie College of Osteopathic Medicine-LECOM School of Pharmacy; University of California San Francisco, School of Pharmacy; and Harding University College of Pharmacy. An engaged, inter-professional team of students and their faculty advisors from schools of pharmacy, medicine, physical therapy, and occupational therapy raised awareness of medication adherence through sustainable outreach in their communities. The St. Louis College of Pharmacy conducted two-dozen events throughout the Challenge month, with a particular focus on cardiovascular disease. This team adapted the Script Your Future message to reach almost 50,000 consumers. Students appeared on morning television shows with the help of Miss Missouri USA, engaged with the public at every Metro stop in St. Louis, and staffed local pharmacies and workplaces to offer medication management, health screenings and tips on how to maintain a healthy lifestyle. To capitalize on their adherence efforts, the team trained staff from local pharmacies on medication adherence, leaving a lasting impression on their community. University of Charleston School of Pharmacy (UCSOP) created 12 new and innovative activities and resources for this year's Challenge, reaching over 6,000 consumers in the Charleston, West Virginia community. The team included a unique composition of students from the University of Charleston Pharmacy School, Physician Assistant Program, Athletic Training Education Program, and the Regional Tobacco and Substance Abuse Prevention Program. To showcase the activities during the month, UCSOP engaged in social media by creating a Facebook page and YouTube channel, and also created a cartoon strip contest for fellow students. The team printed unique QR codes on all materials created during the Challenge that linked to original medication adherence videos. UCSOP events included a Teen Expo at a local high school where teens were counseled on healthy lifestyles and adherence. This team used campaign messages to create outreach tailored to their community for a lasting impact in Charleston, West Virginia. With a focus on diverse and underserved populations, the University of Pacific team reached a number of patients in the Stockton, California community. The University of the Pacific worked with the Script Your Future Sacramento coalition to translate resources into a variety of languages including Spanish, Vietnamese, Korean and Chinese. The inter-professional students took to the airways and produced a weekly, hour-long radio show on medication adherence. The team of students from medicine, pharmacy and physical therapy worked with local clinics to provide adherence information to Filipino, Hispanic, and rural populations. Participation in the Challenge has led to continuing partnerships with medical student-run clinics to incorporate medication adherence into the services offered and a collaboration with a university-led Medicare Part D program to provide adherence data on this unique population. Touro University targeted underserved populations in their outreach efforts, including uninsured, Hispanic, African American, South and Southeast Asian populations. Noting the high prevalence of chronic disease, non-adherence and barriers to accessing health care for these populations, 80% of the Challenge month events targeted under-represented communities, reaching over 1200 patients. The team conducted blood glucose and blood pressure screenings and referred a number of patients to seek further care due to high blood pressure. Learning from this outreach, Touro plans to work with partners to offer prescription assistance, health screenings and continued health literacy and cultural competency training with student-providers. The University of Mississippi School of Pharmacy partnered with public and private partners to focus on medication adherence in populations with cardiovascular disease. Mississippi has the highest cardiovascular disease mortality rate in the nation. The team used Script Your Future materials to hold a number of health fairs at a local medical mall in Jackson, MS, designed to keep participants engaged with a series of activities and stations. Students from nursing, medicine, pharmacy and physical therapy conducted health screens and education with patients. An evaluation of patients who attended the fairs unearthed interesting population trends and led to a number of referrals for follow-up visits. All involved in the outreach, from students to faculty to patients, recognized the importance and strength of inter-professional collaboration when addressing chronic diseases. Partnering with health profession programs at the Washington University in St. Louis, St. Louis College of Pharmacy led a robust inter-professional team to engage the St. Louis community. The team adapted Script Your Future materials to create a cohesive message "See it, Hear it, Write it, Understand it, Share it," in which each profession describes how patients can improve adherence, adding their unique perspective. The largest team effort, Metro St. Louis Talks, involved physical and occupational therapy students educating commuters about adherence at every metro stop in St. Louis.